The volume of data stored on a hard drive can represent an enormous amount of sensitive or confidential corporate or customer information. As your business faces a rising tide of privacy breach threats, it’s not enough to simply erase data from your drive before it’s discarded. With easily available tools, identity theft and business fraud criminals can still access your deleted digital files. Fortunately, there’s a more secure and reliable solution for destroying your data. Apex Shredding’s hard drive destruction service makes sure your data is eliminated for good. 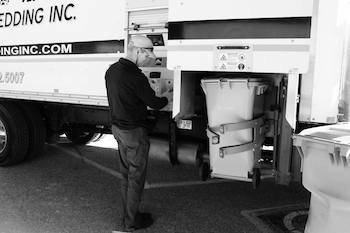 We collect the outdated and expired hard drives from your business and shred them in our onsite hard drive shred truck. Our state-of-the-art shredders make it impossible to reconstruct them. The shredded material is then sent to our authorized recycling partner for recycling. After your hard drive is shredded and destroyed, we present you with a Certificate of Destruction documenting your company’s compliance with state and federal privacy laws. We take the privacy of your information seriously. 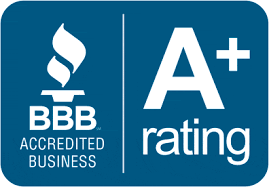 As a National Association of Information Destruction (NAID) AAA Certified hard drive destruction provider, we adhere to the highest security and ethical standards in the industry. An independent third party validates our destruction process and employment hiring procedures to ensure a secure and strict chain of custody. Your hard drives are collected, handled and destroyed by screened and trained Apex Shredding professionals. You won’t find a more secure and reliable data destruction solution for your hard drives in Northern Colorado! From our headquarters in Berthoud, we provide hard drive shredding services to clients in Boulder, Fort Collins, Loveland, Longmont, Louisville, Lafayette, Broomfield, Greeley, Frederick, Firestone, Johnstown, Sterling, Brush and Fort Morgan in the Northern Colorado area. To learn more about our hard drive destruction services, please contact us by phone or complete the form on this page.